Being in country for language immersion trip is beginning to pay off. Interacting with the local people was torturous at first. Later, it became unbearable. Now, it’s merely painful. 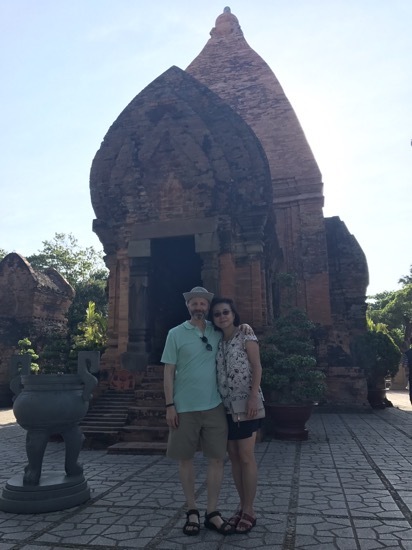 A big challenge to us is that because so few foreigners speak Vietnamese, the locals are unaccustomed to speaking with foreigners in Vietnamese. Often, we will initiate a conversation in Vietnamese, only to get a reply in English. One of the teachers who is accompanying us is the language enforcer. The standing joke is that if she hears us speaking English, we have to eat durian as punishment. Wherever we go, she first tells the employees there that they are not allowed to speak to us in English. It works. She puts the fear of God into people. Once, an employee of a park, who I had had no interaction with at all before, walked up to me and reminded me that I was not permitted to speak English with him. Yesterday we had a guided tour of an historical site. I was able to follow most of her explanations. That was encouraging. Just a 1200-year-old temple. When this was built, Charlemagne wasn’t on the throne yet. Other than language, we are getting a feel for the culture and society. Vietnam is an interesting country. Although China exerted a huge influence on the language and culture over the last thousand years, it’s very clear that Vietnam has a distinct culture. 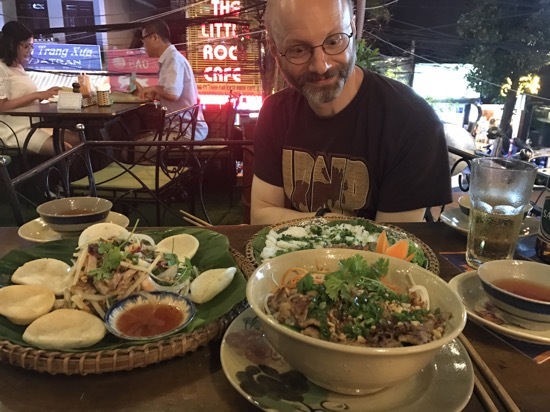 Vietnamese food is pretty awesome. The last picture…it’s Mom looking at the blueberries!